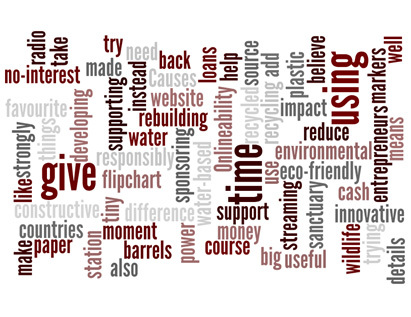 At Onlineability we have a strong belief in the need to give back as well as take. Of course, we do all we can to reduce our environmental impact – from the big things like recycling, or trying to source and use power and water responsibly, to the tiny details that add up over time, such as using eco-friendly water-based flipchart markers with barrels made from recycled paper instead of plastic. But we also try to make a difference by using our time and money to give constructive help where it can be most useful. It’s a difficult time for libraries around the UK – seen as an easy target for local government austerity measures and viewed by some as fusty and out of date. We think this is very wrong and, after opening hours in Hertfordshire were cut by a third in July 2011, decided it was time to take some action. 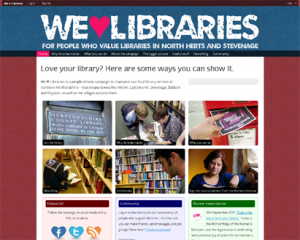 So we built the We Heart Libraries website – a separate venture from the company but a project we believe in very strongly. We are hoping to build a community of people who love their local libraries and want to celebrate everything good about them, as well as standing up for them in times of trouble. If you’d like to get involved, meet like-minded people and find out how to help, click here. 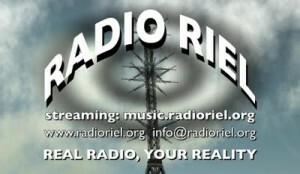 Onlineability has been a proud sponsor of Radio Riel, an online radio station that broadcasts daily on the internet and in the virtual world Second Life. Founded in 2007 to provide music and audio content for a wide range of virtual online events, it has grown into a internet radio station with five channels playing a round-the-clock variety of music for listeners with eclectic tastes. As Radio Riel’s first ‘real world’ sponsor, we welcomed our association with the station due to the groundbreaking work founder Gabrielle Riel and her team are doing on content provision in virtual worlds – an area that can only become more important as time passes. To learn more, or listen for yourself, visit its website here. Onlineability worked with the Screech Owl Sanctuary at Indian Queens, near Bodmin, Cornwall, to maintain and develop its website. 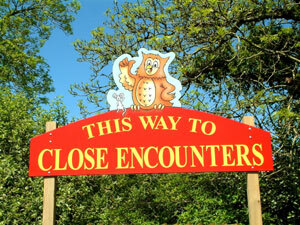 The sanctuary provides care and rehabilitation for sick and injured wild owls in the county. Where possible it ensures their safe release back to the wild when they are fully recovered. But, if the bird is permanently disabled, it becomes a resident of the sanctuary and is cared for there. Here’s an item about lending with Kiva from Frontline Planet, a programme broadcast on the US PBS network. Kiva is a San Francisco-based not-for-profit organisation that matches people in the developed world with entrepreneurs in the developing world who are seeking finance for a specific project – often buying stock or equipment for their business. Visit its website here. You can track the progress of the people you lend money to and, when the loan is repaid, withdraw the money or lend it out again. Plus, the amounts involved are ones that most people wouldn’t hesitate to spend on a meal or a weekend shopping trip in Britain. And yet they make a huge difference to people in Africa, South America or the former Soviet republics. What’s more important? No contest.